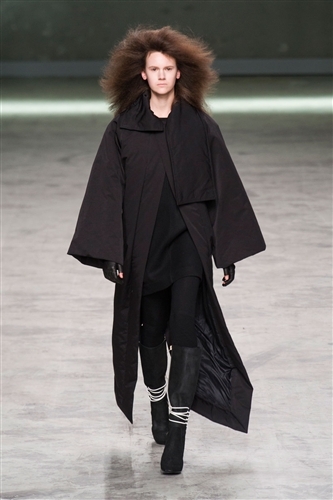 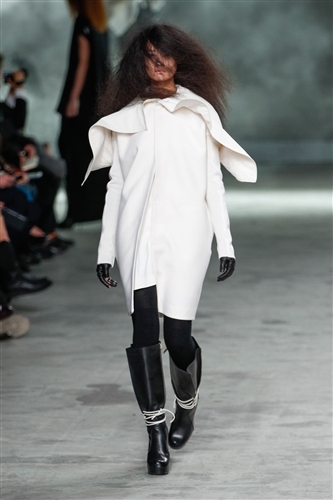 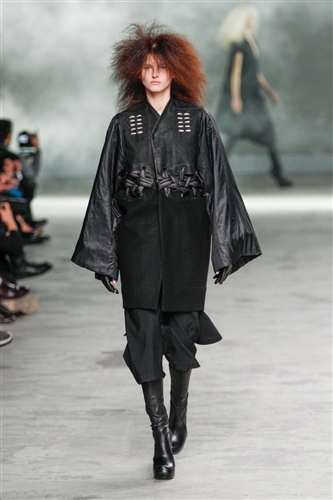 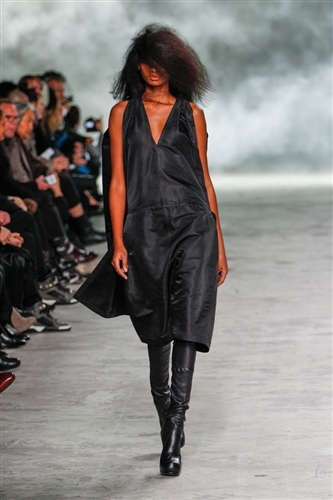 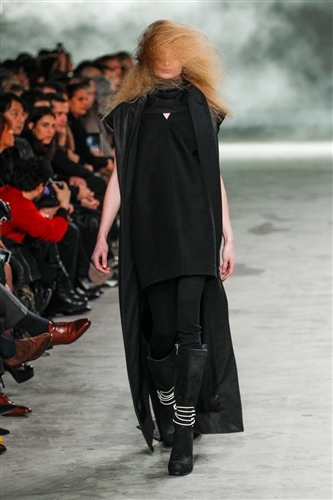 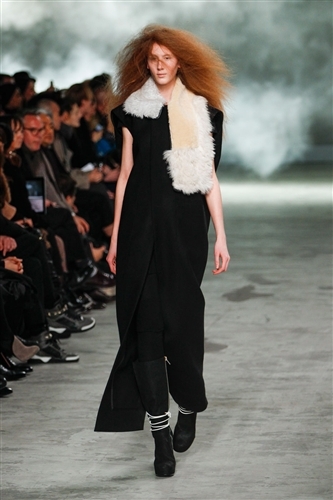 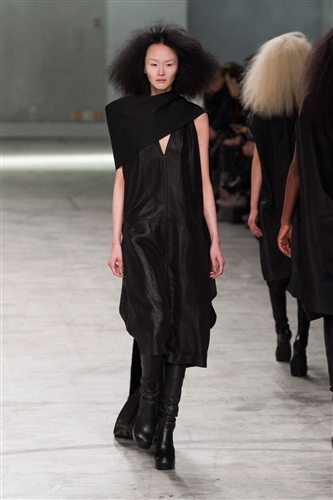 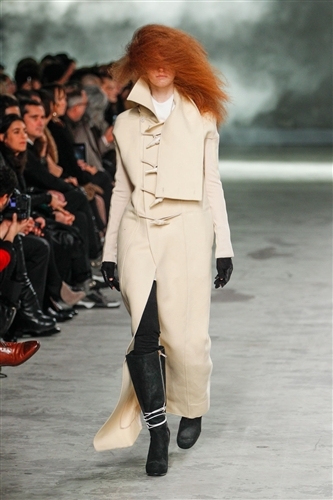 Rick Owens staged a impacting and powerful show this season. 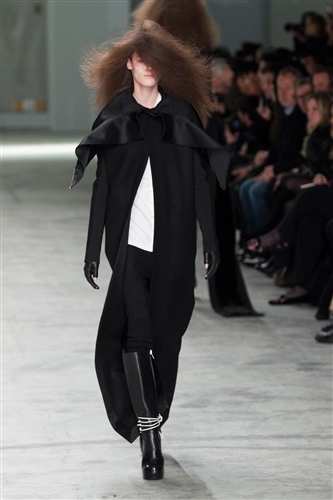 His models walked amongst smoke and wind machines, with their hair covering most of their faces they made a startling impression. 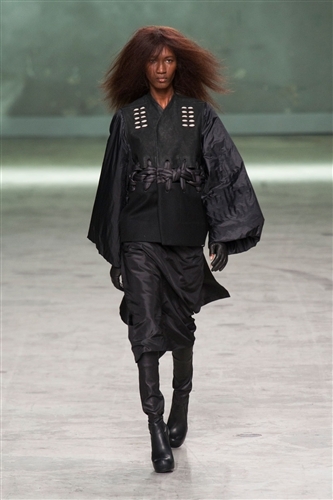 Rick’s collection was decidedly more wearable than they have been in the past, you could imagine most pieces translating easily into everyday wear. 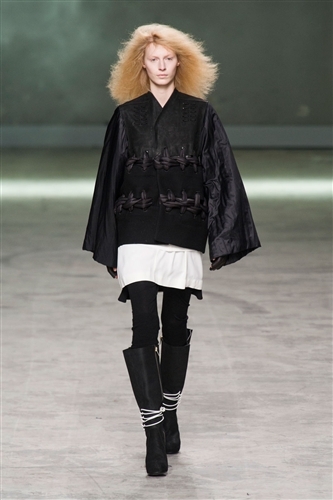 One of the highlights of the designs was the outerwear, there were maxi length duffel coats and sheepskin tunics. 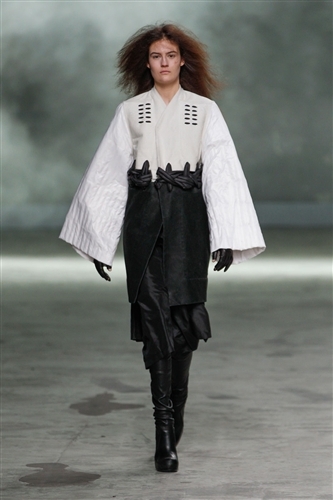 The embellishment throughout the collection was another beautiful touch, there was white cord and black leather laced throughout the designs which added a further depth to the designs. 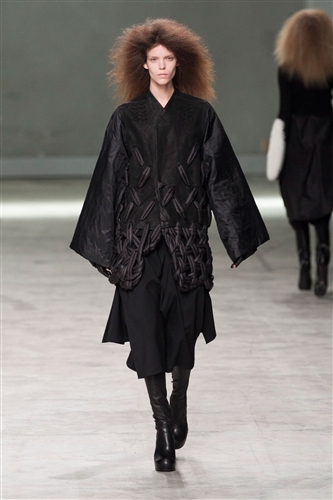 The show was almost hypnotic, the other-worldly styling made the clothes drift past almost in a dream like state.